The summer months always evoke discussion of nice white wines that are more refreshing in the heat. In the forefront of any such discussion is chardonnay, arguably the most popular grape in the world. It thrives in Burgundy, France; Australia, northern and southern California and even New York State because it can be distinctive and unique, heavily influenced by soil, climate and many post harvest techniques. The grape responds to stainless steel or oak, limestone or marl, cool or warm climates and 0% to 100% malolactic fermentation, a technique that significantly softens the wine by converting the tart malic acid into lactic acid, producing those more full-bodied, buttery wine flavors. Thriving earlier in the Napa Valley, today’s chardonnay vineyards can be found from Mendocino to Santa Barbara County, gradually shifting to more coastal appellations like Santa Lucia Highlands, Santa Rita Hills and the Sonoma Coast. In fact, Sonoma County past vintages rank the highest in California and, with the Burgundy region of France, produces the world’s best chardonnay. Over the past few years, it has been difficult to find a bad one from the Napa Valley or Sonoma regions. Normally a fan of the soft, buttery, oak-driven, lactic-laden California chardonnay, I have begun to appreciate the minerality in Burgundian wines, so influenced by the nature of the soil. The following is a list of recent vintage chardonnay that I have enjoyed during the past year, representing a variety of price points, regions and oak influence. I did not designate a certain vintage because these wines are consistently good. Paris Tasting. Although they produce very good single-vineyard estate chardonnay at higher prices, the Monterey County designate is a complex wine that is accessible locally. Merryvale Starmont Chardonnay ($18). From the cooler climates in the Napa Valley, this amply available wine consists of grapes aged in both stainless steel and oak with partial malolactic fermentation. The result is one of the most full-bodied, creamy chardonnay available under $20 anywhere. Nice citrus is engulfed with rich, nutty flavors with a nice minerality on the finish. acidity and stone fruit flavors. Melville Estate Chardonnay Clone 76 “Inox” ($36). 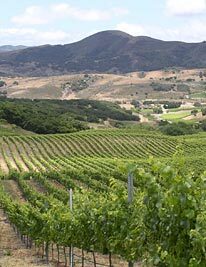 Located on East Highway 246 on the way to Lompoc, Melville creates nice pinot noir and cool-climate chardonnay in the Santa Rita Hills. “Inox” is the French word for stainless steel, foreshadowing a wine void of oak and any softening of its crispness. Cold temperatures are integrated into the fermentation process, protecting all the malic acid from harm. Aromas and flavors of lemon, lime, pineapple, apple and honeysuckle assure us that it is not void of taste. 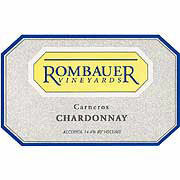 Rombauer Carneros Chardonnay ($32). Familiar with this wine for several years, I was recently surprised to see a bottle in the “frig” at a “fork and cork” rental home and quickly drafted it to pair with scallops and smoked salmon cakes. Complex aromas and flavors of peach, melon, citrus and vanilla make this wine, consistently, a great pair with food and a top value within this price range. It is often available locally. Fort Ross Vineyard Chardonnay Sonoma Coast ($32). From the Sonoma coast, this wine embellishes both the crispness and rich opulence that chardonnay can express. Combining pineapple with butterscotch and vanilla in a balanced way is the main reason it found itself among Wine Enthusiasts Top 100 wines of 2011 with a 92 pt. rating. Demetria Winery “Eighteen” Chardonnay ($45). My first encounter with Demetria Winery in the Santa Ynez Valley was through this wine at a tasting last year. The “Eighteen” stood out among the others. Aged 18 months in French oak, it combines wonderful stone fruits aromas and flavors that are rich and heavy-on-the-tongue. With only 200 cases produced, one will not find this wine outside of the winery. Foley Estate “Barrel Select” Chardonnay ($50). This wine is simply my favorite California chardonnay from a winery that produces many. To retain some acidity, 25% of the grapes are void of malolactic fermentation. The best barrels are combined and aged another 21 months in oak. The result is consistently lush citrus aromas and flavors balanced with rich vanilla and toasted nuts. A pass through the area always warrants a stop for “Barrel Select”. Mt Eden Vineyards Chardonnay Santa Cruz Mountains ($55).Any discussion of good white wine always includes Mt. Eden’s classic California chardonnay from the Santa Cruz Mountains appellation that produces many. A bulk of the aging is with new French oak creating a creamy, heavy-on-the-tongue wine with a perfect balance of citrus, spice and toasted nuts. It is always ranked among the best. 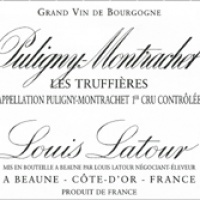 Louis Latour Puligny-Montrachet ler Cru ($55). Discovered at a tasting, this wine, from one of Burgundy’s finest appellations, has a nice earthy/mineral quality combining some citrus with melon flavors and a very long finish. Grand Cru from this area can age up to 10 years, becoming supple, less acidic along the way. Available at Monopole in Pasadena. within California and abroad, I am always reminded of the complexity of the wine and it’s ability to enhance food. Any one of these wines and a myriad of others were designed to augment shellfish, sea bass, game hens and even veal. The major player of the United State victory in the 1976 Paris Tasting, California chardonnay has never sat on its laurels. This entry was posted on Wednesday, July 18th, 2012 at 6:25 pm	and tagged with coastal appellations, food, santa rita hills and posted in chardonnay, Wine. You can follow any responses to this entry through the RSS 2.0 feed.